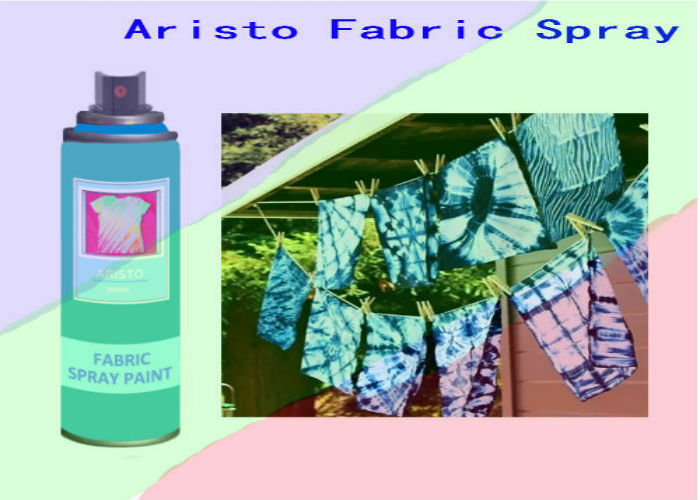 Aristo Fabric Spray Paint is a permanent aerosol fabric paint, not a dye. It is non-toxic, non-flammable and completely safe. The colors blend nicely to create new colors. 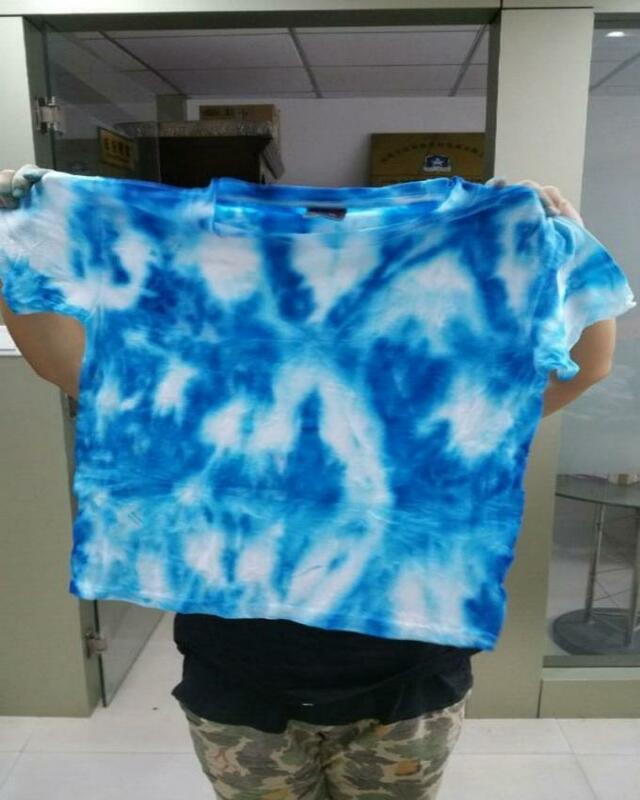 You can create tie dye effects instantly without the mess. Great for use on furniture, awnings, umbrellas, camping supplies, office cubicles, material, RV's, boats, carpets, cloth car interiors, wood, silk, leather and more. 1. Test your fabric before beginning a project, be sure your material absorbs the paint. 2. Check the fabric after it is dry to make sure the paint fully absorbed. 3. Wash the fabric after 24 hours. 4. 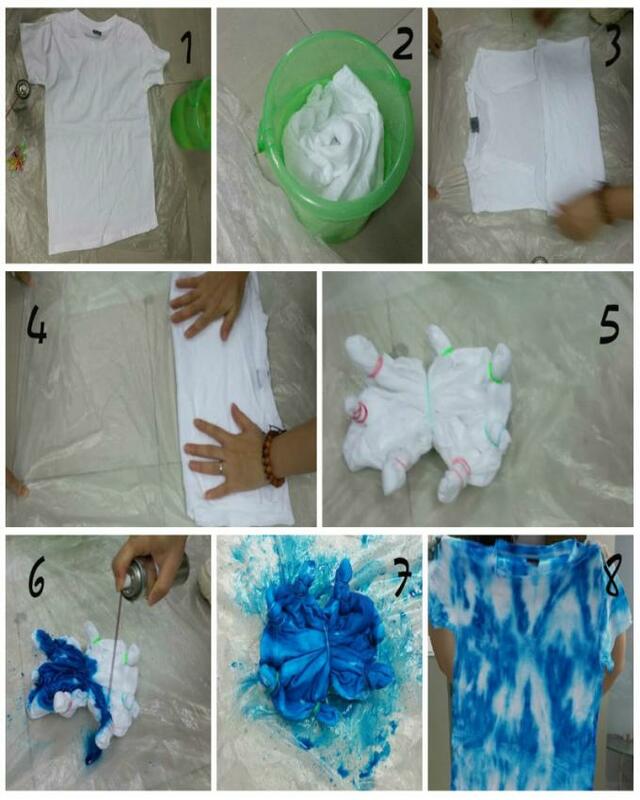 Spray in light layers and do not soak the shirt to avoid the paint from leaking through to the back of the shirt. Or you can put a barrier inside the shirt, for example a piece of cardboard.